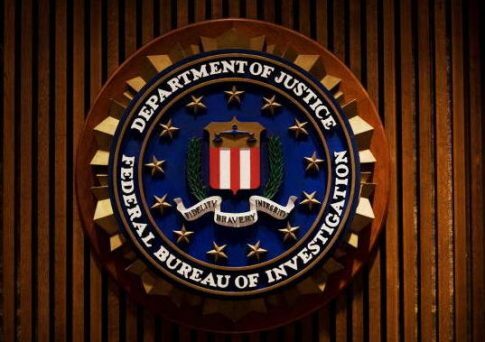 Two Republican lawmakers are seeking information from the United States attorney for the District of Connecticut regarding an ongoing criminal investigation into former FBI counsel James A. Baker. In a letter sent Tuesday, Reps. Jim Jordan (R., Ohio) and Mark Meadows (R., N.C.) ask U.S. Attorney John H. Durham about his office's investigation into criminal leaks from the FBI to the press. Jordan and Meadows express concern that Congress' "oversight and investigative work" might interfere with the U.S. attorney's inquiry. The two cite the transcript of Baker's testimony in a closed-door congressional hearing, in which Baker's attorney interrupted a line of questioning, explaining his client would not answer questions pertaining to an unresolved criminal matter. The attorney, Daniel Levin, explained Baker "been the subject of a leak investigation … that’s still active at the Justice Department." In the transcript, Meadows expressed surprise at the news. "You're saying he's under criminal investigation?" he asked Levin. "That's why you're not letting him answer?" Levin replied in the affirmative. The comment was the first confirmation Baker was the subject of a criminal leak probe. Baker served as the FBI's general counsel from 2014 to 2017, retiring from the bureau on May 4, 2018. Lisa Page, the FBI agent whose text messages about Donald Trump have drawn scrutiny as part of the FBI's Russia investigation, left the bureau the same day. Baker was close with ousted FBI director James Comey, serving under him at the FBI and alongside him at Bridgewater Associates, located in Connecticut. Comey would email his memos to Baker after meeting with President Donald Trump, according to New York Magazine. When Baker left the FBI, Comey tweeted his support, calling him a "great public servant." Baker first came under scrutiny in December 2017 for improper contact with reporters in connection with the "Steele Dossier," opposition research compiled by Fusion GPS that made then-uncorroborated allegations about the Trump campaign and its contacts with the Russian government. "James Baker, the FBI's recently reassigned general counsel, was in touch with David Corn of Mother Jones in the fall of 2016," the same time that the dossier made its way into the American media, Politico reported. Disclosure: The Washington Free Beacon was once a client of Fusion GPS. That relationship ended in January 2017. For more information, see here. The FBI confirmed in December 2017 that Baker at the time "had been reassigned within the FBI, though the reason for the move was unclear," the Washington Post reported. "McCabe was fired for lying to the FBI's inspections division, lying to OIG investigators, and for lying to former Director James Comey about unauthorized communications with a news organization," according to the letter from Jordan and Meadows. Baker declined to comment when contacted by CNN about the report Tuesday afternoon. The James A. Baker under criminal investigation is not former Secretary of State James A. Baker III. This entry was posted in National Security, Politics and tagged FBI, James Comey, Jim Jordan. Bookmark the permalink.